I cant wait! I'm thrilled that there is alot going on in the dueling world. But, I do wish there will be more cards in StarDust Overdrive to create a new Meta and introduce new competitive Tier 1 decks to the game again. As for now, I was browsing through the net a while ago and arrived on someone's blog. Sorry forgot the url/link but it had "audio" in it I think. I forgot how i got there as there was too much to do at that time. But I saw something interesting. 1) Play garden and summon Armagedon knight --> dump monk to grave. 2) Token appears on opponent field. 3) Destroy Garden and token and bring back Monk. Free Monster reborn! If you summon manage to get two tokens out, you can destroy them and call Airbellum in grave. Basically, Garden wants to be used straightaway. So depending on the card you want to choose (most of the time is Monk and Airbellum), you gotta act fast. Its no biggie getting 2 monsters out ( a normal summon and Spy perhaps?) , then put 2 rose tokens, destroy them and garden and bring out Airbelum from grave! Dont forget the monsters special summoned by garden is halved, so unless ur planning to use them as defence or for synchro bait, do watch out. Its extremely versatile. Truth to be told, I dont know. I just saw it and thought you guys could be exposed to it. Is it good? I dont know! I dont have an AKB deck and I dont plan on making one either. Im too lazy and busy to proxy and testdeck with myself, so I was hoping you guys give it a try yourselves. We're at an interesting point in competitive dueling. While OTK's continue to rear their ugly little heads (the upcoming appearance of Synchro Cat won't make that situation any better), we don't have one single dominant deck taking the majority of the top seats at Regionals. Blackwings and Lightsworn are certainly the most popular strategies at the moment, followed closely by Skilldrain variants. But more strategies beyond those three are seeing play in the hands of proven and respected players, and the generous “make Top 32 and qualify” Regional season seems to be encouraging a lot of duelists to take risks and innovate, teching against the expected metagame instead of going along with it. There's a world of possibilities out there right now, and the predictability of the current top decks permits the opportunity to outwit those strategies and create something new. There are a tremendous number of decks that can win at the moment, and as long as you keep your skills up and a few things in mind, you can create your own winning strategy. The most creative decks I've seen winning lately were wielded by duelists who followed many of the same philosophies, and if you understand a few guiding rules of this format, you'll have the tools to build new competitive decks. So that's what we'll talk about today – some format-specific guidelines you can follow to make sure your creative deck is a metagamed masterpiece, instead of a one-flop wonder. We're not going to talk about general play tips like the importance of utility or the merits of conservative play. We're going to look at over-arching “musts” specific to this format instead. As much as Blackwings have become a force to be feared in the North American metagame, the fact of the matter is that a lot of top players don't consider it to be the best deck in the format. Despite the deck's speed it's viewed as being predictable and weak to disruption in the early game. Get that first Blackwing off the field before your opponent can swarm with Blackwing – Bora the Spear and Blackwing – Gale the Whirlwind, and you create a big opportunity to capitalize and take control. Cards like spy are often employed to help the deck's shaky opening (and the mirror match), but it's easily argued that additions of that sort just make a duelist more vulnerable to skill drain – an otherwise strong matchup for Blackwings. It's a painful catch 22. With that said, Blackwings are easy to build and even easier to play. An average duelist can invest minimal time in learning the deck and still perform solidly against more experienced competitors. If you've gone to a Regional over the past few weeks you know what I'm talking about – “best deck” or not, Blackwings are definitely the most popular strategy right now, and will probably be your most common matchup in the Swiss rounds. That means you have to be able to beat Blackwings. You can build a brilliant deck that trounces Lightsworn, Skill drains, Gladiator Beasts, and anything else you might come up against, but if you don't have a decent win percentage against Blackwings it won't matter. You'll be lucky to Top 32 a Regional if your Blackwing matchup is bad. Luckily there are plenty of ways to tilt that matchup in your favor, with more strong tech options emerging on a weekly basis. Book of Moon and BTH have been popular in triplicate for weeks now. Both can shut down the first Blackwing your opponent plays, stopping him from claiming cards with black whirlwind and preventing the Special Summon of a fistful of Boras and Gales. Both cards are also extremely high in utility. It's rare for either card to be a bad draw, and their versatility makes them a strong choice for a variety of matchups. But those two are obvious: go a bit deeper and things get more interesting. 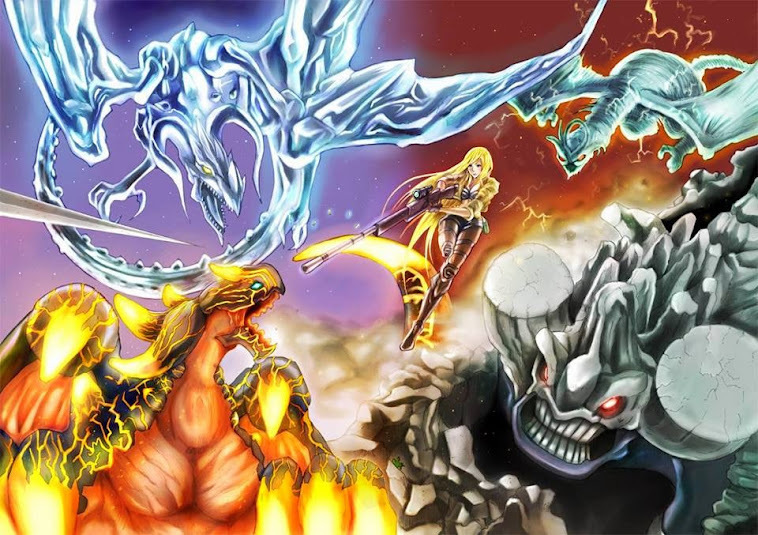 The massive popularity of BTH has led some Blackwing players to avoid opening with big monsters like Blackwing – Shura the Blue Flame or Bora altogether, instead choosing Gale to lead the charge. A lot of metagames have reacted to this by teching regular Trap Hole, giving more ways to beat the Gale opening while still covering Shura and Bora. This is especially common in a lot of tournaments in the Philippines right now. Compulsory Evacuation Device garnered a bit of attention when it topped in Maurice Brantley's Counter Fairy build a few weeks ago at Shonen Jump Anaheim, but the card continues to see experimentation today in a variety of decks. Brantley ran two copies of Evacuation Device alongside Neos Spacian Grand Mole, bumping away face-down monsters and Synchros while also having additional defense for when times truly get tough. That gave him an edge against Gladiator Beasts, but in today's environment they're both great cards to take against Blackwings. Blackwing Armor Master and collosal fighter are both powerful walls. The aforementioned tech of spy can also spell trouble for the unprepared, but Evacuation Device and Grand Mole can address both. While losing card presence to remove a face-down monster with Evacuation Device is costly, it'll often spell a win if you have enough followup, and that trend is leading to some serious experimentation. Gorz is another card seeing a major comeback right now, and it can help you survive those big swarm turns from Blackwings. It can block Blackwings with its sheer size, and it can also give you a free monster to press with next turn. Blackwings aren't at their best when you force them into a simplified game state – as long as you can keep a single beat stick on the field you'll often achieve a win just by launching a flurry of one-for-ones and forcing exchanges. The Token monster Gorz generates is a free piece of card presence to help you do that, trading off for one of your opponent's cards if it can survive the turn. Speaking of Gorz, it's going to become even more important in the coming weeks as Synchro Cat starts seeing play. For those not in the know, Synchro Cat seeks to abuse synergy between Spy, Summoner Monk, and Cat with X-Saber Airbellum. Since a single Spy can easily become two Spies, and Cat can fetch you two copies of X-Saber Airbellum, the result is often a field of Spy, Airbellum, and Arkanite (give or take a copy of Summonker Monk). From there you'll lose your defenses to Arcanite, suffer three or four direct attacks, and then get whacked in main phase 2 by DDB. When this combo is backed by CW there's not much you can do to stop it. If you had the chance to set Threatening Roar you could chain it to the activation of CW and survive. But if your opponent went first, activated CW, then set spy you are officially in trouble. While beating Blackwings outright was the main concern in the Blackwing matchup, just surviving the enormous plays Synchro Cat can kick out is the big challenge in this one. Synchro Cat will open with GKS, Cold wave, and Summoner Monk or Cat about 8.25% of the time – 10% or more with the addition of simple draw cards. With Cat, Spy, and Wave you'll head into your next battle phase with a field of Arkanite, X-Saber Airbellum, and Spy: Arcanite clears your opponent's monster and you attack for 4200 damage and a discard. In main phase 2 DDB/DSF means an additional 2800 damage, 1000 shy of making game. If you opened with CW, Spy, and Summoner Monk instead of Cat, the Monk fetches Cat and serves as the Synchro material for Arkanite – leaving you free to use your second Spy as an attacker and Dark Strike fodder to claim victory. He continued: “For people to have access to Airbellum so quickly with Rescue Cat means they can Synchro or just go for huge discard plays [with Airbellum's effect]. Normally when people attack, they attack with their lowest ATK monster first, so chances are Airbellum is going to be the second or third attacker. If you can use Gorz to block the Airbellum attacks you can essentially save yourself and win.” If your opponent leads his attacks with Spy or Arkanite Magician, you can summon Gorz to block X-Saber Airbellum from hitting your life points and stealing a card. Even if your opponent smells a trap and attacks with Airbellum first, you'll at least survive the turn. The strength of Gorz in a variety of matchups also gives it utility similar to that of Book of Moon and Bottomless. “It's good against Lightsworn” continued Saberian, “because they can get so many monsters to the field so quickly - same with Blackwings. Fighting off that swarm and bringing out a 2700 ATK beater is really awesome.” But the card's revamped potential is owed just as much to the matchups you won't see, as the ones you will. “You don't have to worry about Gorz being bad versus Gladiator Beasts because they're getting cycled out." In the past, the threat of Murmillo kept Gorz from seeing the level of use many thought it would achieve. The threat of CCV was another big reason a lot of players refused to run Gorz. With Crush no longer seeing heavy play, you're now free to run the Emissary of Darkness. There isn't much that can stop Synchro Cat when it gets on a roll, so you need to make sure you're packing the few defensive measures that actually work. Expect to see a lot of main-decked Threatening Roar and Gorz this summer, and be prepared to fit them into your decks. Surviving those big pushes while summoning a huge attacker will give you the opportunity you need to struggle back and win. Drain variants based around Dark monsters, Light monsters, and Plants may not be seeing as much use as Blackwings and Lightsworn, but they remain a force to be reckoned with. Plant Drain captured the recent Japanese National Championship, and with Jeff Jones coming off a big win at Shonen Jump Anaheim with Dark Drain, interest in the deck has never been so high. A lot of Regional results are seeing a Drain deck or two making the Top 8, so while it's not something you need to pack a lot of main decked tech for, you need to be prepared for it. That means siding effectively, in a format where the popularity of simple spell and trap removal like MST is at an all-time low. Typhoon, Dust tornado, and Twister are all versatile and extremely easy to play. As long as you don't forget to include a few of them in your side deck you'll have a much easier time in Games 2 and 3 when you're up against a Drain duelist. Three Solemns and Dark Bribes in Anti-Meta that do not require Drain such as Dimension Forest Gladiators should be used to take down Drain too. It's important to note the difference between main decked tech and side decked answers. Anything you keep in your side deck won't interfere with your strategy in Game 1, while any card you main deck that isn't directly associated with your central strategy could appear at the wrong time and wind up a dead card. Jeff Jones just came off a big Regional showing this past weekend, topping with a Debris-hime. Before that he was winning tournaments with Synchro decks that would let him throw down his new Dark End Dragon. What was his catch-all advice for creating a winning deck this format? "The biggest thing I can think of is consistency. A deck has to be consistent in its draws or it won't be good." Sure, sounds like good advice, right? But “consistent” can mean a lot of different things – it can refer to a deck's average utility across all of its cards, a percentage chance to hit certain combos, matchup win percentages, and so on. I asked Jeff to explain precisely what he meant. "When I say it, I mean if a deck can draw well, consistently, it will probably win more. The more cards you play that are reliable in the current metagame, the better.” He paused a moment. “Ah! Like cold wave! The card used to be amazing. It still is. But it's not as good as it used to be. You don't want to run cold wave [in decks like Gladiator Beasts or Lightsworn], because it's good against one deck, but awful versus three other decks. It just won't consistently help more than it will hurt, because the metagame is so wild." The emerging format is even faster than the current one. Your deck doesn't necessarily have to outspeed Blackwings, Lightsworn, or Synchro Cat, but you need to know that once you start the race, you'll reliably reach the finish line. If you need to sacrifice some of your deck's upper end potential to make sure it works, make them as early as possible in your testing processes. It's better to start with a solid foundation, learn the deck, and then branch out into more adventurous stuff once you've established a preliminary build that works. Most of the the top decks right now have easy access to single monster removal, a lot of which comes from lynchpins inherent to the deck's strategy. Blackwings have God Bird Attack and Blackwing – Kalut the Moonshadow to make quick card-for-card trades. Lightsworn have honest and ryko, while Synchro Cat has easy access to Arkanite Magician and its devastating removal effect. Any deck can play simple cards like Bottomless, smashing ground, or book of moon, and the sheer volume of monster manipulation we're seeing makes this a particularly hostile environment for big, singular monsters. There are naturally some exceptions: Collosal and BW armor master consolidate multiple monsters into one, but they also have protective effects that shield your investment – the same factor that made Colossal and Stardust Dragon hallmarks of the last format. That's largely what makes them format-defining cards. . Even single tribute monsters with compensating effects like celestia or Monarchs can run into major problems if the tribute fodder used to summon them actually cost you a card. Consolidating multiple cards into one vulnerable monster has always been a dangerous task, but the sheer ubiquity of monster hate like Book and Bottomless, as well as battle tricks like honest and Kalut, make it even tougher to justify in the current format. The opposite is true as well. With a wealth of one-for-one type cards flooding your metagame, strategies that offer proactive diversification are actually quite good. It's also a good reason to max out on wulff, or to take another look at Zombies. Free monsters are always good, but free monsters in a format where so many deck slots are being devoted to one-for-ones? Even better. Follow these five general guidelines when you create a new deck, and there's a very good chance you'll succeed in developing a competitive strategy. While the number of competitive decks in this format creates some unique challenges, addressing them is as simple as understanding what they have in common, what they do differently, and prioritizing your agenda accordingly. If you're a creative deck builder, don't shy away from playing more mainstream decks for a while. It's always important to know what you're up against, and in this format that's especially true – there are simply more matchups you need to know in order to be competitive. do go to The Irish Duelist to check it out. Blackwings only one deck =) Lightsworn dominates. To all the blackwing users: silver wing the isolated effect's is broken. But to summon it requires a tuner, and TWO other monsters. Its rather hard so i'm damn happy about it. Meanwhile, think ur an expert in Yugioh? Go to gaijin duelist to look up on one of the hardest problem situations you'll probably ever find in Yugioh. It is the World Championships, FINALS, Match 3. You have lost one and won one to this point. You take a moment to review your current situation. Graveyard: Mystical Space Typhoon, Heavy Storm, Blackwing - Vaayu the Large Banner, Crush Card Virus, Compulsary Evacuation Device, Mystic Tomato. As you wonder HOW DID YOU MAKE IT THIS FAR, you look at your opponent's field. Due to your Crush Card Virus, you know all of the Enemy's cards. The Judge gives you a warning for "staring at a bystander's chest", creating an air of akwardness, due to the fact that there are no women around, snapping you back into the game. It is the end of the draw phase of your turn. Win this turn. The deck you use(since you can have anything in it), must follow tournament Rules. Look out for that Doomcaliber Knight. I looked at it, and gave up in 3 seconds- no time to think! Must study. Malaysian Nationals are taking place tomorrow. To all the duelists, good luck and watch out for ANTI META DECKS which are quite annoying. BWs are also another annoying pick. i"m looking forward to see the decklists and hope some new innovative deck can appear. I like Rauzes' take on Junk and Debris in space. Kinda reminds me of Wall-E, but definitely not boring like the movie. 3) Lightsworn- the most dominant swarm,surprise force- scary! 4)Cat Beat- May not be so dominant since we lose out the promos, but DDB, spy, and arcanite Magician with cold wave is really annoying! plus it techs koalakko (sea koala), chaos sorceror, and everything. Deck devastation virus stops it dead though. 5) Meta beat- Whether it will be Plant Control, Skill drain variants, light undead, gladial forest anything that has the power to stop something important like card effects, monster attacks or negate everything your opponent throws at you, while backed up with solemn judgment and dark bribe is very, very powerful. If you arent teched or sided against it, you confirm lost. Meta beat usually assures itself the first game of every rubber match. Hope i can go next year, and to you all going to Nats this Saturday, do break a leg.